Once there was a tiger who was brought up by a herd of goats. From the day his eyes opened, all he saw was a goat’s life. He munched grass with the rest, butted heads with the others, and learned to bleat in an odd sort of way. Once in a while, however, there was a nagging voice within him which said, ‘You don’t belong to this kind of life’, but he always put it aside as some kind of intrusion from the world of his dreams. Then one day a tiger came into the clearing, and he roared an earth-shaking roar, and headed for the goats. The goats fled in terror, as did the tiger who had grown up with them, but at first he wanted to stay. That roar triggered some kind of memory within him, and he flexed his own muscles in a momentary roar. He couldn’t believe the sound he heard. He couldn’t believe in this call to be more than he was, the call to be a tiger, because all he knew was a goat’s life. And so he along with the others turned and fled. The new and greater life could have been grasped, but he fell back into being a goat for the rest of his days. 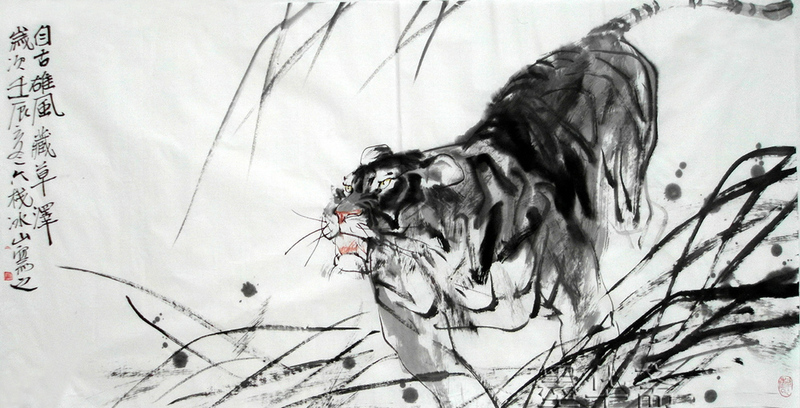 Do you hear within you that tiger-call at times? Do you sense that you have been called to be more than you are? That you have greater potential than you have realised? That within you lies the possibility of a greater life than the one you are living. Jesus in John 14 speaks about that kind of life. He share the three secrets to the fulfilled life. Anyone who loves me will obey my teaching. My Father will love them, and we will come to them and make our home with them. 24 Anyone who does not love me will not obey my teaching. These words you hear are not my own; they belong to the Father who sent me. The first way to receive the life God gives is to obey. During the week we had a family Bible reading. We don’t have them as often as we would like to, or perhaps need to, but they do happen periodically. This particular night we came across the story of Abraham and Isaac in Genesis 22. You’ll recall how God had given Isaac to the ancient and childless Abraham and Sarah, and how God then told Abraham to go and sacrifice his son on a mountain. It is an extraordinary story, told with great power by the writer. There is the long journey with the simmering coals, the curious servant left with the animals. There is the inquiry of Isaac as to where was the beast for the sacrifice, and the ultimate tense moment when Abraham took the knife. The whole exercise involved astonishing obedience, which accepted that God knew what He was doing, and that He had a purpose behind what seemed stupid and purposeless. God saw Abraham’s obedience and Abraham saw his own obedience, and had his faith deepened. 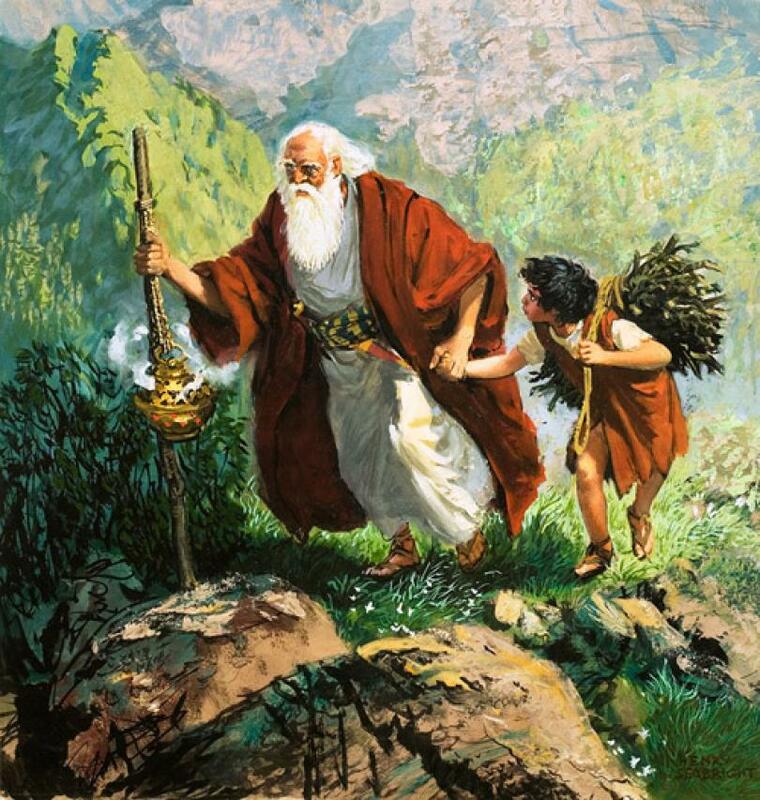 Isaac saw that Abraham would obey God in everything, even involving the life of his family. The whole story was one of radical obedience, one in which ultimately God showed the people that they were not to be involved in any form of child sacrifice as a culture. Obedience is what God expects of his people. ‘If you love me, you will obey my teaching.’ Why? Because God knows best. He knows that no-one is a better person for having lied, stolen, been immoral, or having lived without faith. He knows that no Christian will be a happy Christian who does not live a holy life. That no Christian is obedient who is a drunk or immoral or selfish or greedy Christian. Those things say we do not love God; that we march to our own agenda, and so live as unfulfilled Christians because we do not obey God. Sometimes we hear people commenting on how we are disadvantaged because we don’t do what we are told by experts. The doctor tells us we have to forget about pies and pasties and eclairs until our cholesterol is down. Or sport experts tell us to wear eye-guards and mouth protectors when playing squash. But do we do those things the experts tell us? Don’t we often continue to act as though we were ignorant?, and therefore short circuit what is best for us. Why go to a doctor if we don’t do what we are told? In this text, Jesus says the Holy Spirit will do two things: He will teach you, and He will remind you. We are reminded every ANZAC Day that we need help in remembering what has happened in the past; that men and women from the past had a noble conviction that preserving a society from ultimate evil justifies the sacrifice of one’s life, if necessary. We need to remember the good things of the past. Think of the millions of dollars we as a society spend each year on capturing the past through photography, slides, shots, films. We have instant and perfect recollection of every mountain, every party and every camp. We need reminding, and we pay extensively to be reminded. We know that no matter how wonderful the moment or the event, we will soon start to forget what we once enjoyed. The Hold Spirit teaches in part by reminding us of who Jesus was, what He has done for us, and what He continues to do in us. Are we teachable? Are we still learning? This is the second way in which we are freed to be fully functioning Christians. 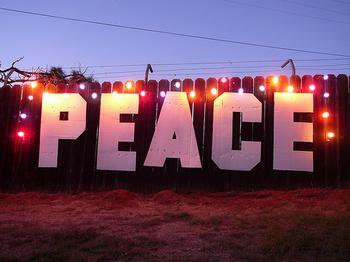 The peace of Jesus is not that which comes from sitting by a moonlit lake, or stretched out under the sun at Glenelg. It is not a peace that our circumstances naturally create. It is peace in the circumstances where there is anything but peace. French philosopher and priest Teilhard de Chardin says in The Divine Milieu that if we do not believe, the waves engulf us. The winds blow, nourishment fails, sickness lays us low, the divine power is impotent and remote. But if on the other hand we believe, the waters are welcoming and sweet, the bread is multiplied, our eyes are opened, and the dead rise again, through the power of God. Peace is more than the absence of a state of conflict, it is the peace and power which comes from knowing that you are one with God and others and with yourself. It is the peace of knowing unity even when a discussion at home becomes a heated debate, or when a colleague at work becomes your most ungracious critic. In these situations we need to see that peace is not what we create in trying times, it is a gift of God. And it is a gift we can ask for. It is the peace that comes from your relationship with Jesus. It is the peace that helps you to success at your career, your relationships, study, and your goals which call out the Christian tiger in all of you. It is this kind of peace that makes it hard for some of us to understand how our church can be involved in fundraising for non-Christian urban-terrorist organisations like the ANC and SWAPO. For justice to be Christian we must expect something greater from these organisations. Peace has never come by any imposed revolution as events in Iran and Angola attest. However much we all detest apartheid as the philosophy of systematic racism, it is unlikely that it will be overcome if extremist confronts extremist with threat upon threat. The greatest hope there is in South Africa is the Dutch Reformed Church that declares apartheid a sin. The church has always provided a theological buttress to apartheid philosophy. Pray that those Christians may know the peace of Jesus, which wins people over by moral and spiritual power, not by threat and terrorism. When Jesus calls us to obedience to Him and His commands, He gives us the Holy Spirit to make his teaching real, and His peace to make his presence real on a social and personal level. In His gifts and calling lie the fulfilment and hope of the Christian. Let us accept his words to us today and realise the potential He gives to each of us.